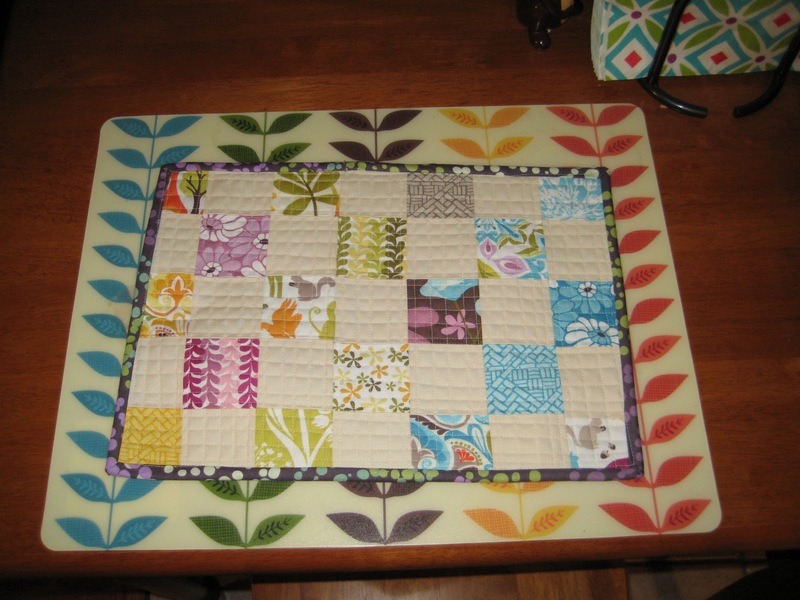 Brittney Selby Quilting: Weekend Update! So I finished the postage stamp quilt top today. There are no pictures because it is too big to hold up and take pictures. But I promise to take pictures when it is completed...sometime in March. The leftover fabric from the quilt I was going to use to make placemats. Well here is one completed. It is nice for wide sweeping mousing. Anybody else want one? Leave me a comment if you do or if you can think of another solution for a 10"x 14" micro-quilt.